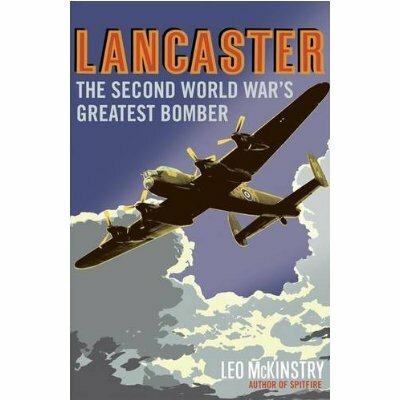 There are literally hundreds of books written about RAF Bomber Command and the Lancaster: below are just a sample that make reference to, or have other connections with, 550 Squadron. 266 pages, nearly 100 photographs, written by one of the leading authors of books on Bomber Command. £15 (inc P&P) for those that are posted within the UK. £10 if collected from North Killingholme. The cost of postage to other countries will be available on request. Cheques should be made out to "550 Squadron Association" and sent to Mike Leeman. The Assocation newsletter (July 2017) contains the booking form for the 2017 Annual Reunion, and this includes a form to reserve/order copies of the book. 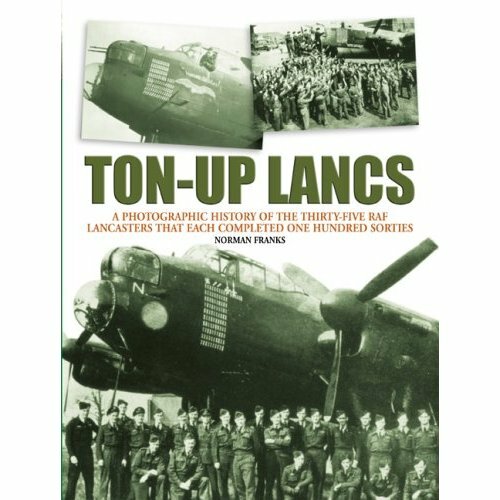 As is clear from the title, the stories of Lancasters that carried out more than 100 missions. ED905, BQ-F, Fox: Retired from operational flying. EE139, BQ-B, The Phanton of the Ruhr: Pictures J C Hutcheson crew at the time of BQ-B 100th operation. Also of S/L Caldow and crew in 1944 and again in the 1990's, the last crew to fly this plane on operations. Retired from operational flying The Phantom now lives again as the BBMF Lancaster. PA995, BQ-V, The Vulture Strikes: Failed to return from it's 101st sortie. Excellent chapters on each of the planes in the book, with crew lists of all operations flown by each plane and stories and many photographs of the planes and their crews (then and now). A history of an iconic plane. A newly published book (3 Sept 2009) and receiving excellent reviews. 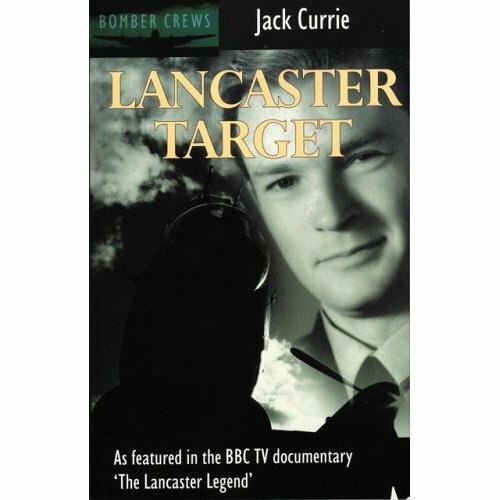 Described as one of the best three books about life in Bomber Command during World War II, Lancaster Target is the story of one crew's fight to survive a full tour of operations in the night skies of wartime Europe. Flying Lancaster bombers from RAF Wickenby (626 Squadron) in Lincolnshire between 1943 and 1944, Currie chronicles the life and death struggles against flak, night fighters and perilous weather with clarity and feeling, whilst capturing the `live for the moment' spirit of off-duty escapades. The Aussie navigator (James Cassidy DFC*) with Currie's crew later flew his second tour with 550 Squadron. 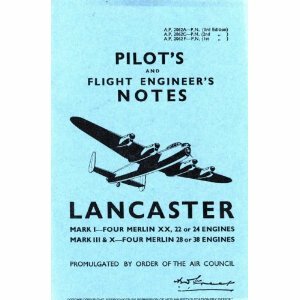 Facsimile reproductions of the original RAF publication, the Pilots Notes form a unique record of some of the world's most famous military aircraft. Each approximately 60 pages, paper cover, with header card featuring euro hook cut-out for display. Ideally veterans who flew on the 14/10/44 or 15/10/44 to Duisburg or Brunswick or perhaps any of the diversion raids launched over those days. If there are any in 550 Squadron Association who live within easy reach of Duxford and who would like to attend for some signings then email in to the web-site and your expression of interest will be passed on. The book offer information, from Pen and Sword, includes a 20% discount should anyone want to order a copy before July. Patrick Otter will be at the 550 Association Reunion in North Killingholme in July (2013) and will be more than happy to sign copies of the book on the day. A new book by Tony Redding about the final few months of Bomber Command's war, concentrating on the Pforzheim raid of 23/24 February 1945 which proved to be one of the most damaging attacks of the war. The book includes contributions from 12 aircrew of 550 Sqdn who either flew on the raid or could provide useful contributions. This was a private publication, but a few copies are still available and are being sold at £10 (plus £2 P&P), a ticket price set purely to cover costs. If you are interested then you can contact Darren Harvey for details. Not a Bomber Command book - it is the story of J E "Johnnie" Johnson (later Air Vice Marshal Johnson), who served with Fighter Command squadrons throughout the war. This edition of Aeroplane magazine contains a six-page article on the events at RAF Coningsby. This includes a potted history of the plane as it served in both 100 Squadron and 550 Squadron, and many photographs from the day including a nice photo of four of the 550 Squadron Association members in front of The Phantom. See: http://www.aeroplanemonthly.com/ (look for back issues). Magazine with three articles on the Lancaster heavy bomber. Excellent article on pg 26 which includes a detailed annotated cutaway diagram of a Mk I. The big article is on The Phantom of the Ruhr, including pictures of the unveiling in April 2007. A good picture of 550 Association members standing below the nose-cone painting. Also a picture of the J C Hutcheson crew at the time of BQ-B 100th sortie. Reference is also made to her final flight to Aschaffenburg on 21/22 Nov 1944 after which S/L Willie Caldow had her grounded due to a "twisted fuselage". Finally a third article on "tail-end charlie" the Lanc rear gunner. Feature: "Brothers in Arms: A combat tour in Lancasters"
Special D-Day Edition with feature item: "Opening Salvo"